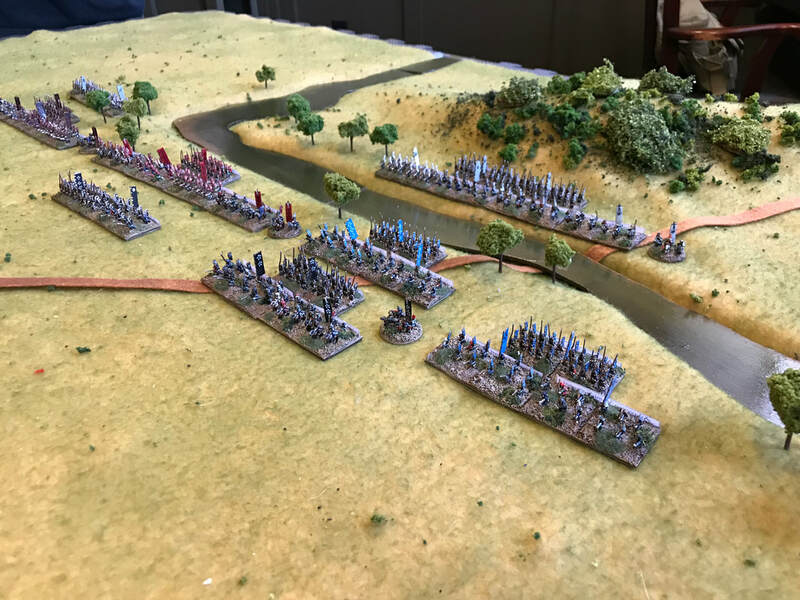 Our club recently re-fought the Battle of Zama with Age of Hannibal. Hop over to the AoH homepage at Little Wars TV for a full recap of the action! 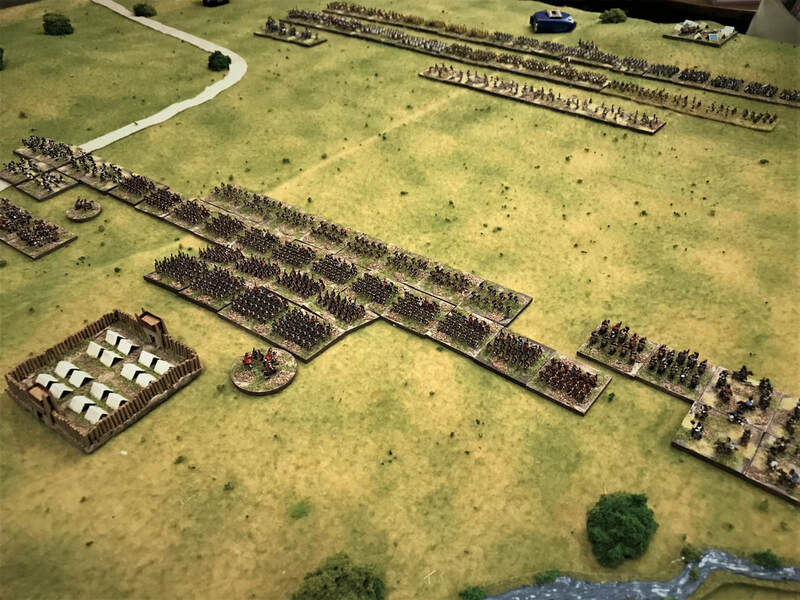 Little Wars will be running another large ancients game in 6mm scale at Cold Wars, held in Lancaster this March. Over at Little Wars TV, Episode #108 features the Fourth Kawanakajima. 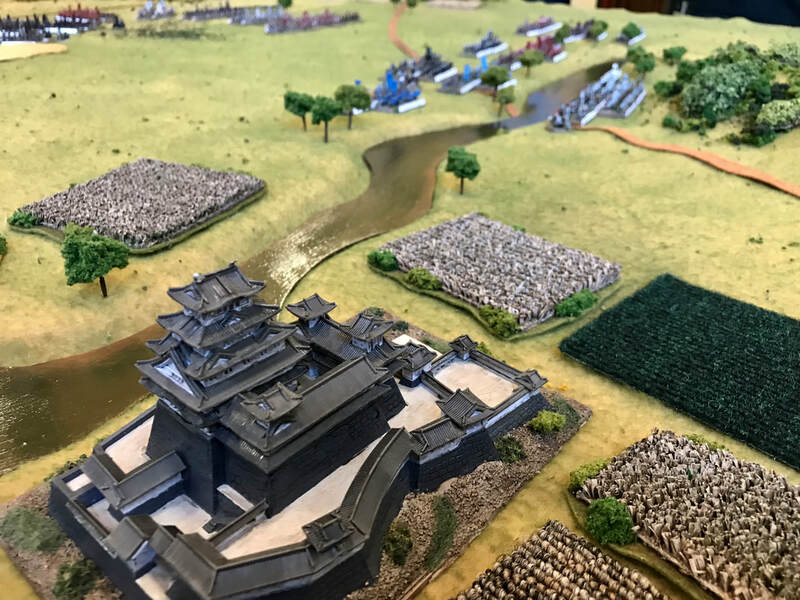 It's not often you get to see massive armies from the samurai age on the tabletop, but Steve's 6mm Japanese troops are an awesome sight to behold. The 6'x8' tabletop was pretty sharp, too! Stop over at Little Wars TV for a full battle report! It is early August 1863 and Lee's second invasion of the north has come to an end. Our club's version of the Gettysburg campaign ran a far different course than the historical operation. We played 9 out of 10 possible turns in the campaign game, with the Confederates reaching their Victory Point total, thus ending the scenario. 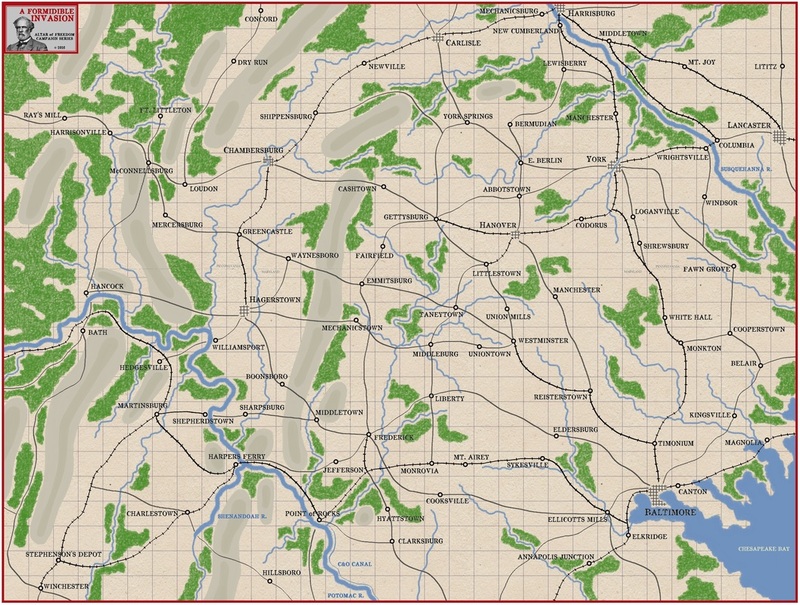 However...due to a Federal control of the Potomac crossings back to Virginia, the CSA players suffered a randomized VP penalty at the end of the campaign. Would this penalty be enough to give Meade a victory? Or would Lee's army march back to Virginia covered in glory? Is this the longest ongoing "centennial" celebration ever? Since 2014 our club has been playing through the battles of 1914 and here we are, in May 2016, just finally opening the Battle of the Marne! 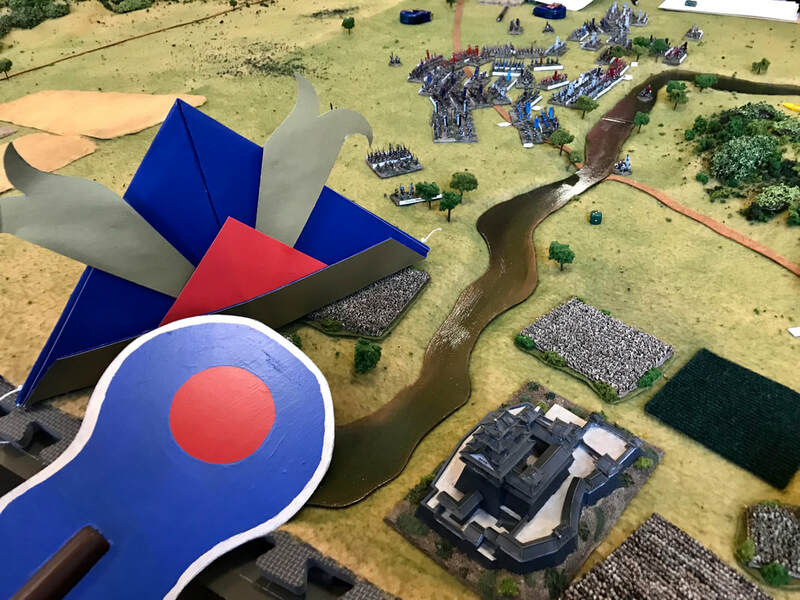 Tonight's scenario represents the action on the far western edge of the German line, closest to Paris on September 5, 1914. Here, von Gonau's Reserve Korps discovers the French are not retreating, but actually probing forward. Like any good German, von Gronau decides his best course of action is a spoiling attack of his own. Heavily outnumbered, he bumps into the French 6th Army in what will become just one sector of the massive Battle of the Marne. OCCASSIONAL BATTLE REPORTS, WHEN WE OVERCOME OUR LAZINESS & SEE FIT TO POST THEM HERE!